North Park Pediatrics was established in 1983. 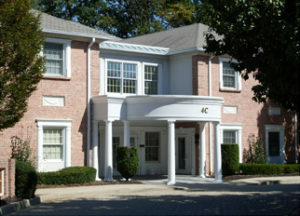 Prior to moving to our current location, the practice was located in an office on Vale Road in Bel Air, MD. We accept cash, check or HSA (health care spending account) debit cards, Visa, MasterCard, or Discover credit cards. We suggest that you schedule your well visits with the same practitioner, in order to provide the best continuity of care. These visits include measurements of growth, a review of need for immunizations, discussions regarding nutrition, activity level, development, safety issues and a time for answering questions you may have. These appointments typically are scheduled 1-2 months in advance. Sports physicals are usually done in the 6 months prior to their sport season. We do our sports physicals in conjunction with a well visit. Please be aware that many insurance companies only allow the child to have one physical exam per 365 days. You may need to contact your insurance company to verify whether your policy allows a physical exam once per calendar year or once per 365 days. You will need to schedule your sports physicals accordingly. In addition, please review your forms carefully for the time frame in which these physicals must be done. For instance, for Harford County Public Schools, the physicals must be after a certain date, usually in the beginning of June. Please download our sports questionnaire and bring it in completed as well. Our questionnaire is for our records and will remain in your child’s chart. Call in the late spring to begin scheduling sports physicals as the summer tends to fill up fast. Time is allotted on every day’s schedule for sick visits. The front office staff will try to accommodate your request for appointment times, but we try to schedule for the first available for that day in order to provide appointments for as many ill children as possible. We will try to schedule the appointment for your child’s usual provider, but if that is not possible, we will schedule you with another provider. We ask that you call at least 24 hours in advance if you will be unable to keep your appointment. We reserve the right to charge a $25 fee for any appointments not cancelled at least 24 hours in advance. In addition, if you are more than 15 minutes late for an appointment, we may ask you to reschedule. Payment of all copays and deductibles is expected at the time of the visit. You are expected to show your insurance card at every visit. We prefer that a parent or guardian accompany their child for a visit, but in the case where a parent or guardian cannot come along, please complete the Temporary Authorization to Treat form and send it with the adult who will be accompanying the child. Please make sure you also send that adult with the copay and insurance card. If we do not participate with your insurance plan, payment in full is expected at the time of the visit. In addition, exams related to a motor vehicle accident cannot be billed to your medical insurance. Payment in full is expected at the time of the visit and you will be provided a receipt which you can submit to your automobile insurance (PIP portion) for reimbursement. If your insurance company requires referrals, please contact our office at 410-879-5170 and leave a message for Pat Trompeter, our referral specialist. Please allow 5 business days for the completion of non-emergent referrals. We do not fax referrals except under emergency circumstances. We will call you when the referral is ready for pick up. If you require a copy of any portion of your child’s record, please contact us at 410-879-5170. There is a per page fee for all information except for the immunization record and growth charts. The per page fee is set by the State of Maryland. Please download and complete an Authorization to Release Records form and fax, mail or drop it off to our office. Please allow 14 business days for the completion of your request. When calling the office during the day, please give the front office staff your child’s name, age and some information regarding your child’s problem. The front staff will answer what questions they can, but if they are unable to answer your questions, or you still wish to speak to a practitioner, they will take a message. In general, a practitioner will call you back by the end of the business day. The telephone should be used for brief discussion only. Please make an appointment for discussions of long term problems. The phones are busiest at the beginning of the day with parents calling to have their sick children seen. For that reason, calls of a less urgent nature are better handled later in the morning and early in the afternoon. Whenever the office is closed, one of the practitioners in on call. If you dial the office, the voicemail system will direct you how to leave a message for the on-call practitioner. You should receive a phone call back within 1 hour. If not, please call back and leave another message. Please be aware that there is a $20 charge for after hours phone calls. This charge is submitted to your insurance, but your insurance company may pass some or all of this cost on to you. In the event of a phone system outage, please proceed directly to the nearest emergency room. Copyright © 2019 North Park Pediatrics, LLC. All Rights Reserved.